Choose garden furniture near Malton and across the UK to elegantly decorate your garden. English gardens are known to be impeccable, with a variety of elements that would make any garden beautiful and vibrant, and yet preserve the calm and relaxing feel that nature brings. 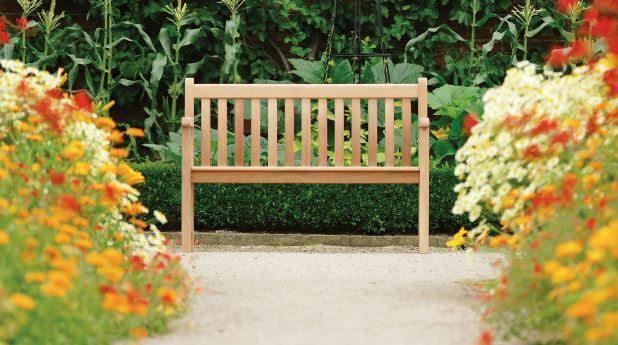 You can get a range of items for your garden to sit and enjoy the soothing atmosphere around. We are only a few minutes away from your Malton home. Since we want to offer our customers the best of quality and presentation, we are careful with the brands we keep on display. Currently, we are only keeping the following three brands: Alexander Rose, Anchor Fast, Zest for Leisure. Our displays of picnic tables, chair sets, garden benches, etc. are presented out in the open in the usual settings for such garden furniture. This allows you to visualise how an item would look in your own garden. The quality of our products is beyond reproach since we have always been focused on delivering the best to our visitors and customers. Each item of the garden furniture we have in our stock is made with expert craftsmanship and quality wood and materials. When you visit Steam and Moorland Garden Centre, you will be able to discuss your options with our on-premises garden furniture specialists. They will be happy to answer any questions you might have and give you expert advice with regard to what kind of furniture you should get for your garden in Malton. Besides this, we also stock a great range of greenhouses for your garden. While garden owners from nearby can conveniently reach us with a short drive, those who are far can easily order the same products from their bed with a computer. Our online store is designed to allow visitors to browse through our stock of garden furniture and read every item’s features as well as see them in images. When we say those who are far, we mean people all across the United Kingdom and in Europe. We deliver goods all over the UK and in the EU. Visit our garden centre today to witness a beautiful display of garden furniture near Malton or order your favourite items online.